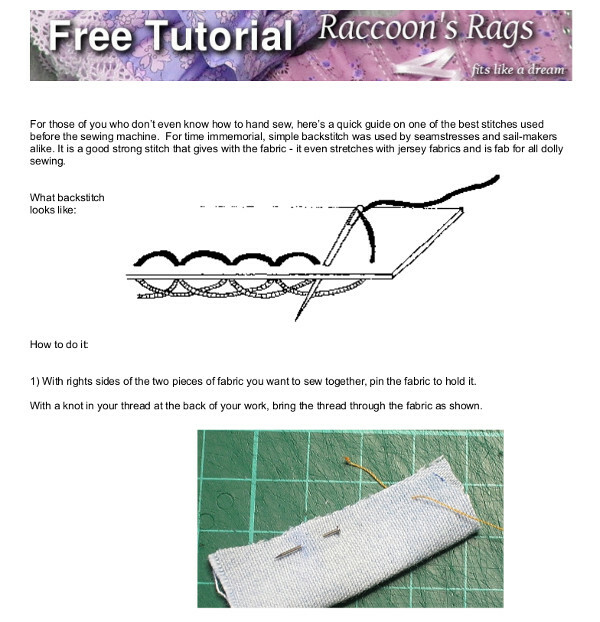 Raccoons Rags: Free tutorial "How to Backstitch". A nice lady in my sewing group over on Facebook asked how I sew by hand and did I have a demo video? Unfortunately I can't do video, BUT, I do have this very short PDF that shows you how to start your thread, do a seam of backstitch, and finish off your thread. It's very short and sweet, but very much to the point. It can be downloaded from Craftsy by following this link. That's all! Hope it helps someone.